Russian aluminium giant Rusal’s quarterly profit surged thanks to higher market prices for the metal, despite sanctions imposed by Washington. Recurring net profit of Hong Kong-listed Rusal, the world’s largest aluminium producer outside China, was up 75 per cent from a year ago in the second quarter, but 17 per cent lower than this year’s first quarter, the company said on Monday. Recurring net profit is defined as adjusted net profit plus the company’s net effective share in Norilsk Nickel’s results. Its results, the first since April 6 when Washington imposed sanctions on it and Russian billionaire Oleg Deripaska, are seen as an initial indication of how Rusal is weathering curbs which have caused worldwide supply disruption. Washington said the sanctions, which struck at allies of Russian President Vladimir Putin, were designed to punish Moscow for its alleged meddling in the 2016 US presidential election — something Russia denies — and other “malign activity”. 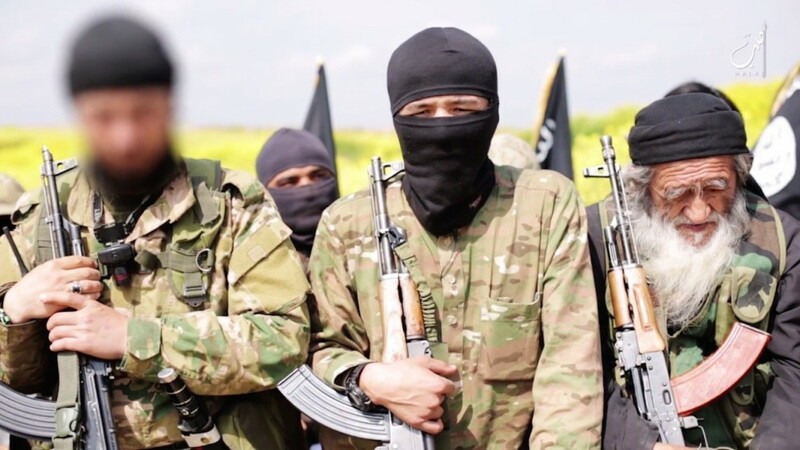 The sanctions seriously disrupted aluminium supplies, pushing up prices for the metal, which is widely used in different industries from aerospace to beverage packaging, before the US Office of Foreign Assets Control (OFAC) granted a waiver to Rusal’s customers. Rusal said the US restrictions had lifted prices. Prices for aluminium were at an average 2,259 per tonne on the London Metals Exchange (LME) in the second quarter, up 18 per cent year-on-year, as “trade wars and imposed import duties, together with the OFAC Sanctions, caused significant growth of premiums and prices,” it said in a statement. Under the sanctions, US customers have until October 23 to wind down business with Rusal. As some orders can take up to two months to process and deliver to customers, particularly for value-added aluminium products, industry sources have said many customers will start to shun the company from August. The sanctions hurt the rouble, pushing it lower. In the second quarter, it was trading at an average 62 per US dollar versus 57.2 the same period a year ago. A weak rouble is supportive for Rusal and other exporters since a vast portion of their costs are rouble-denominated. In a sign of caution, Rusal said its board had not recommended any dividend during the first half of 2018. Last year, the board approved an interim dividend of $0.0197 per share. Rusal said its primary aluminium production was 939,000 tonnes in the second quarter, up 2 per cent year-on-year, while primary aluminium and alloys sales had fallen 22 per cent year-on-year to 783,000 tonnes. The sanctions, the toughest imposed since Moscow’s 2014 annexation of Crimea, roiled aluminium markets and were later watered down. The Treasury Department has since warmed to the idea of removing Rusal from the list altogether. Washington in July extended a delay for investors to divest holdings in Rusal and some other companies from August 5 to October 23, saying it was in talks with Deripaska on how he could cede his control of the company and try to remove it from the sanctions list. Rusal’s Hong Kong-listed shares were up 4.55 per cent on Monday by 0910 GMT. Its shares, volatile in recent months partially due to relatively low liquidity, are still trading 50 per cent lower than before the sanctions were announced. The company said its second-quarter adjusted earnings before interest, tax, depreciation and amortisation (EBITDA) increased 8.2 per cent year-on-year to $552 million in April-June on revenue that dropped 8.7 per cent to $2.25 billion. Rusal’s exports and finances may take another hit if Deripaska is unable to persuade Washington to lift sanctions on the aluminium producer by late August, industry sources have told Reuters. US sanctions may also bar Rusal from receiving a dividend from mining giant Norilsk Nickel due in August. 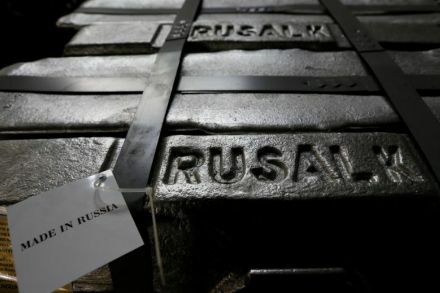 As Rusal holds a 27.8 per cent stake in Norilsk, OFAC could treat the dividend as a significant transaction and require it to be paid into a blocked or escrow account, sources have said. Deripaska controls 66 per cent of En+ Group, which in turn controls 48 percent of Rusal. En+ Group said in April that Deripaska had agreed in principle to reduce his stake in the company to below 50 per cent. The sanctions have had a neutral effect on Rusal’s net debt, which stood at $7.88 billion at the end of June compared with $7.9 billion at the end of March.